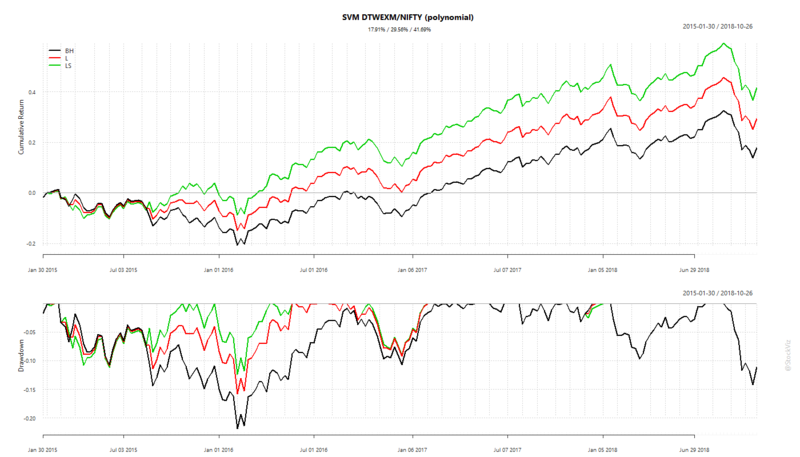 Here, we use a Support Vector Machine (SVM) to train a model on the returns between the DTWEXM index (Trade Weighted U.S. Dollar Index: Major Currencies) and the NIFTY 50. 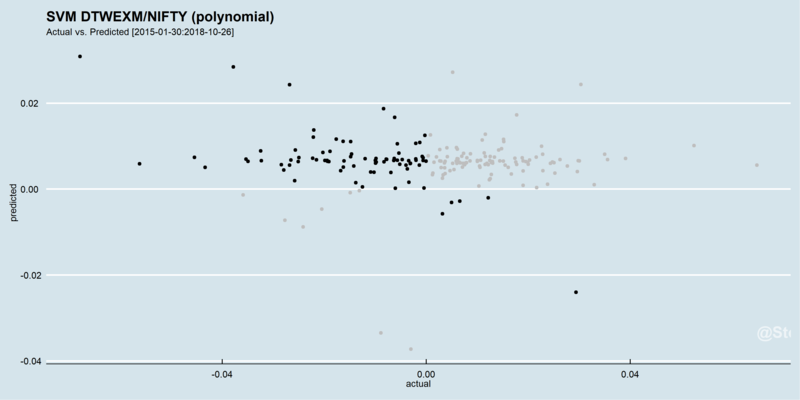 We find that an SVM using a 3rd degree (the default) polynomial kernel gives the “best” results. 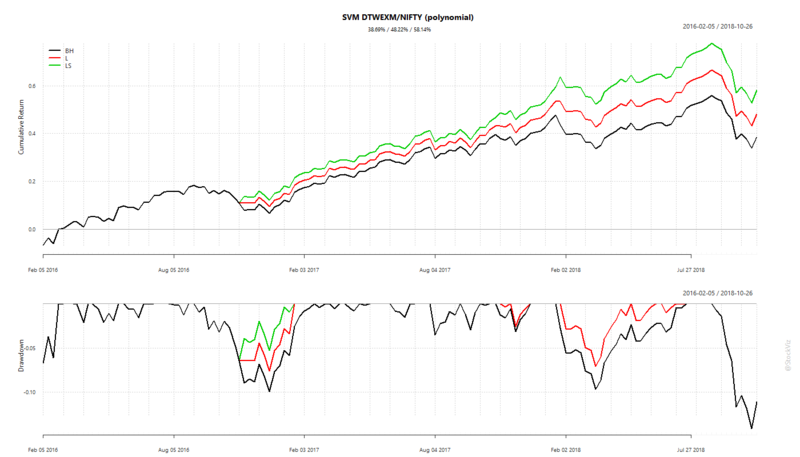 We use the SVM thus trained to predict next week NIFTY returns and construct long-only and long-short portfolios. See how a small branch in Nov-2016 lead to the superior returns of the model predicted portfolios. In the next part, we will fiddle around with the degree of the polynomial used in the kernel to see if it leads to better returns. 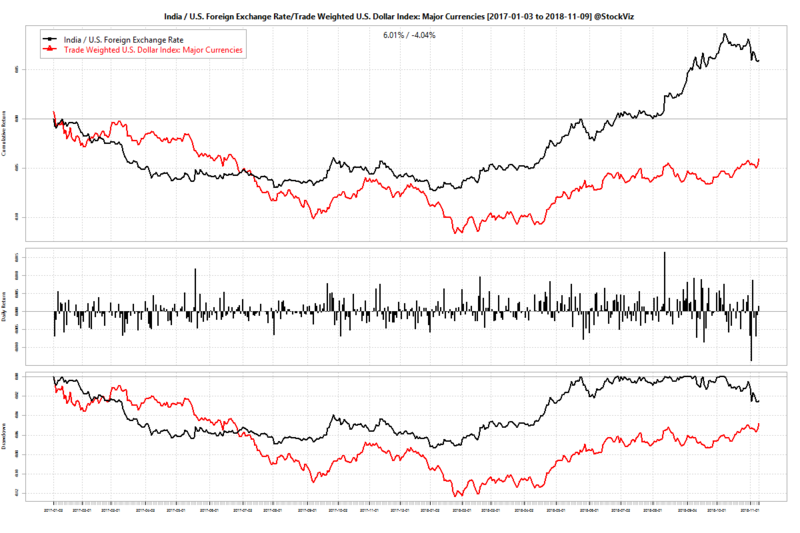 Subsequent posts will cover the use of the other dollar indices (DTWEXB and DTWEXO) and finally USDINR (DEXINUS) itself.